Owning a Porsche car is definitely a prestigious affair. Every car lover will surely enjoy the perks of driving this luxury car. 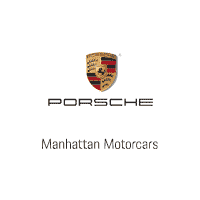 With this in mind, we at Manhattan Motorcars are committed to providing our customers in Chinatown and the rest of Manhattan with a wide range of Porsche automobiles, both new and used. Anyone can also come to us for help in case they need servicing for their Porsche cars. We also have a massive inventory of Porsche parts for our clients. Learn more about us by dropping by our showroom at Manhattan Motorcars today. A neighborhood situated in New York City’s Lower Manhattan, Chinatown borders other neighborhoods that include Little Italy on its northern part, Tribeca on its western part, Civic Center on its southern part, and Lower east side on its eastern part. The place got its name from the fact that it has been a neighborhood with the highest number of Chinese people in the West. It is considered the oldest of all Chinese ethnic enclaves among all nine Chinatown neighborhoods that can be found in New York City.